Your self-esteem is a delicate creature. 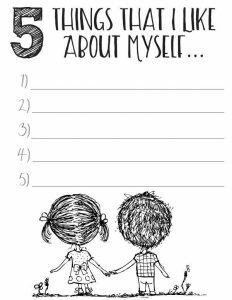 It can be damaged by many things – a break up of a relationship, a change in life or work circumstances – any dent in your sense of identity can leave you feeling less yourself and cause you to suffer a loss of self confidence. Some people are naturally more self-confident than others, and for some, like myself, it doesn’t take much at all to leave you questioning yourself and your life choices. When your confidence is at an all time low, it can be difficult to think of practical steps to make you feel better. The natural reaction to pain is for you to withdraw to protect yourself, and so you may begin to pull away from socialising or situations that put you at risk from feeling even worse. When you’re feeling at your lowest and most delicate, it’s all about taking small steps to make an overall big difference. The WORST thing you can do is to push yourself too hard, and try to make big changes all at once. When you’re delicate, any knock is going to be felt even more acutely, sending you flying back in the opposite direction. Start small by trying some of the following things. It may seem like the opposite of what you want to do when you’re not feeling good about yourself, but gaining knowledge or learning a new skill can actually make us feel a lot better about ourselves. Learning new things has been found to be a core need for psychological wellbeing. This doesn’t necessarily mean throwing yourself in the deep end and learning something like kite surfing or mountaineering – even something like an online course, or local exercise class can make you feel better about yourself, and introduce you to new people you wouldn’t have met otherwise. We are generally not very good at talking ourselves up. We feel embarrassed to admit that we’re any good at anything, and yet we know that we are our own worst enemy. So, just for a minute, leave the modesty at the gate, and try this psychiatry endorsed “brainwashing” technique to see if it makes a difference. 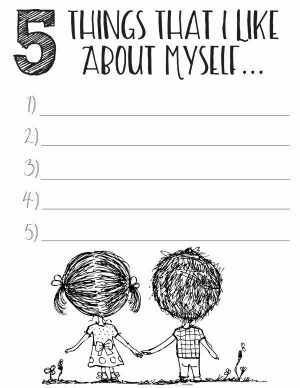 Making a list of 5 things that you love about yourself and reviewing this list daily for one month, has been proven to have a positive effect on self image and self esteem. Be Kind to Yourself – Spend time doing things you enjoy. Think about what you would do for a friend if they were feeling down. Would you force them to start on their to-do list, or tell them they need to ‘pull themselves together and sort themselves out!’. No – of course you wouldn’t! You’d spend some time with them, listening and doing something that they wanted to do, like go for a coffee, or a walk, or to the cinema. Treat yourself like you would treat a friend. Allowing ourselves time to do the things we enjoy is another important act of self-love, it signals that we respect ourselves enough to allow ourselves happiness. Once our mind is clearer, we can concentrate on the more ‘pressing issues’ of the day. The Dali Lama was certainly on the right track when he said “Our prime purpose in life is to help others”. Sometimes when we are thinking negatively about ourselves, it can help to focus our attention outward by helping other people. Not only does this distract us from the negative self-talk in our heads, but as a result of helping others, our own self-esteem increases. Psychologists have discovered a direct link between volunteering and levels of self esteem. I’m not talking about saving the world, but a few hours spent a week volunteering for a charity, or even popping round to see an elderly neighbour can have huge mutually beneficial benefits! We have some amazing talk therapists in house if you feel like you need someone to talk to.